We are approaching a very important centenary in the art world, the creation of Marcel Duchamp’s ‘fountain’, arguably the most important work of art of the 20th century. Was he taking the piss? and why should craftspeople have any interest in it? 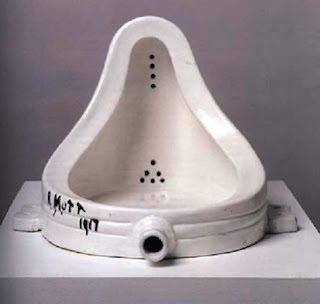 The point of fountain was that Duchamp was arguing that aesthetics and skill were not what made art, it was the artists idea that mattered. Under the guise of an assumed name R Mutt, Duchamp submitted a porcelain urinal as an entry for an open exhibition in New York in 1917. With this work Duchamp metaphorically urinated on the bourgeois art institution and its adoration of what he referred to disparagingly as ‘retinal art’. ‘Fountain‘ was “misplaced” for the duration of the exhibition and lost soon afterward yet years later it achieved seminal status. It was not the worlds first ready-made, Duchamp showed “bicycle wheel” in 1913 but it is fountain that became iconic. So what is the relevance today? 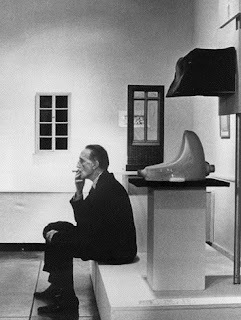 Well trace Duchamp ideas forward 100 years and we see a century of art where skill and aesthetics were not seen as important and where ready-mades and installation art were where it was at. That century is coming to an end and personally I feel that the current art world is as self obsessed and out of touch as the one which Duchamp so successfully took the piss out of 100 years ago. Frankly there is only so much navel gazing and exposing to public view the least pleasant aspects of your past that the public want to see and after a while does it have any relevance or serious message? So who will be the new Duchamp? Who will challenge the current ideas of where artistic merit lies? And where will that merit be found? Personally I fancy we will see a return to or perhaps some new form of appreciation of aesthetics and skill. I think we will again appreciate an artist who can create something of great beauty more than one who presents ready-mades or installations with some art speak justification. Why will this happen? Well in part what we have always admired and valued throughout history has been rarity and today there are not many folk that can grind pigments, mix oils and paint a decent picture, nor carve a stone for a cathedral window, nor make a basket, nor forge a gate hinge, yet conceptual art is taught to tens of thousands of university graduates every year. Satchi et al have huge vested interest in maintaining the artistic status quo and will rubbish any suggestion that these things have as much merit as Emin’s latest but I genuinely feel they have more to say of importance to today’s world than most conceptual art. They comment on how we make the stuff of everyday life, on working conditions and waste and sustainability. It will be a few years coming but my prediction is that we are approaching the time when someone who makes humble functional craftwork will be valued as much as someone who makes art installations. And the funny thing is that I reckon if Duschamp was around today he would be rebelling against today’s art institution as much as he did in 1917.